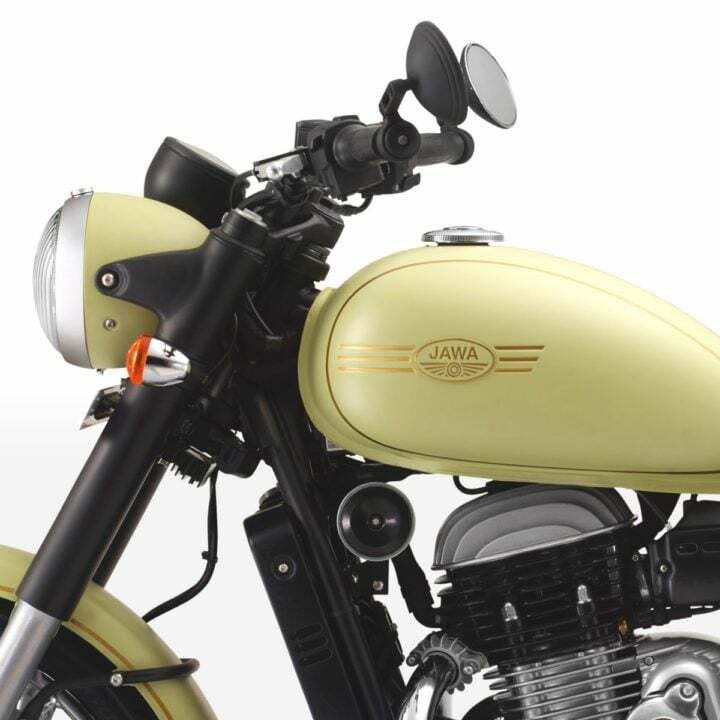 While the new Jawa looks like the original 1970s bike, Jawa 42 is a modern version of it. It gets some modern fits and finishes, which make it look different from Jawa. Jawa 42 looks like a modern classic roadster. It retains the retro feeling of a roadster fused with modern styling cues. It is the entry-level motorcycle from Jawa. While Jawa looks just like the old one, 42 is a modern version of the new one. Perak is a factory custom bobber motorcycle. 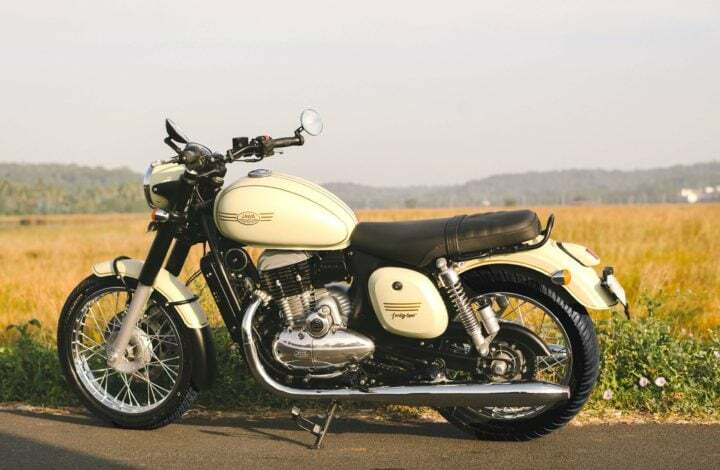 Jawa 42 also offers a variety of colour choices, which make it look like a style statement on road. Perak is a factory custom Bobber, which will debut later in the market. Perak is also more powerful than the other two bikes, as it comes with a 334cc engine. As of now, not many details about this bike are out. It is the highest priced amongst the three bikes. Moving further, here are the prices, specifications, mileage, images and other important details of the Jawa 42 motorcycle. The prices of the motorcycle start off at Rs 1.55 Lakhs (ex-showroom India). Interestingly, the pricing has been coinciding with one of the founder’s birthday, which falls on 1st May 1955. Like said, a photo speaks a thousand words. In this case, it is the same. Jawa 42 is the perfect fusion of modern and retro Jawa. It is inspired by the original Jawa, thus the same bodywork and styling. But some modern touches can be noticed, which classify it as a modern classic roadster. 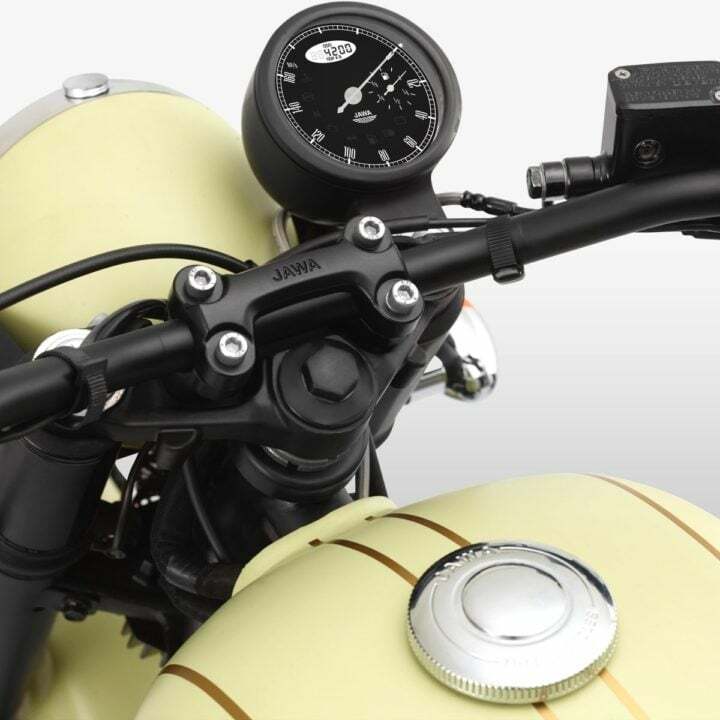 For starters, the oddly-shaped single-pod instrument cluster, the contrasting matte-finish with hints of chrome and for a sporty look, rear view mirrors placed at the end of handlebars. It does not look different from new Jawa, but the modern touches give it a refreshed look, which is well appreciated. Like, the Jawa gets a full covering headlamp cowl, while Type 42 just gets a naked styled round headlamp. Other design highlights of 42 include twin-pea shooter exhausts, bulbous fuel tank, single flat seat, ‘waterfall’ type tail light and round indicators. Summing up, the legend returns with a bit of modern touch. 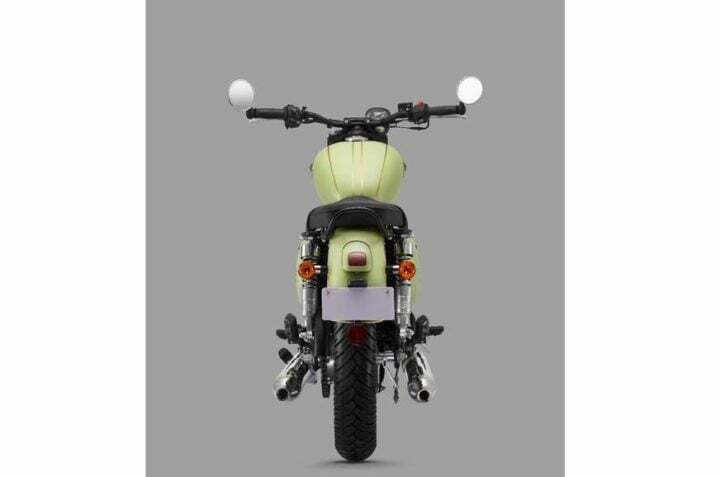 The engine is a newly-developed BS-6 unit, which is not based on Mahindra Mojo’s engine. The power figure stands at 27 BHP and torque offered is 28 Nm. The engine is tuned for a flat torque curve, which offers generous torque in the mid-range. For transmission purposes, the motorcycle uses a constant mesh 6-speed manual gearbox. The mileage figures are not out yet, but we expect it to be around 40 kmpl. With a fuel tank capacity of 14 Litres, it offers a riding range of more than 500 kms. As per online reports, the top-speed of the Jawa 42 is around 135 km/hr. Type 42 has a wheelbase of 1369mm and a seat height of 765mm. The bike tips the scales at 170 kgs. For suspension purposes, it uses Telescopic Hydraulic forks up front and Gas-Canister Twin shock hydraulics at the rear. 280mm front disc brakes with ABS and a 153mm drum brake at the rear help in the braking system. Jawa has its own set of loyal fans, who would never look beyond it. As Classic Legends calls it, the ‘Kommuniti’ is all crazy about the new motorcycle and already the bookings have started at large. 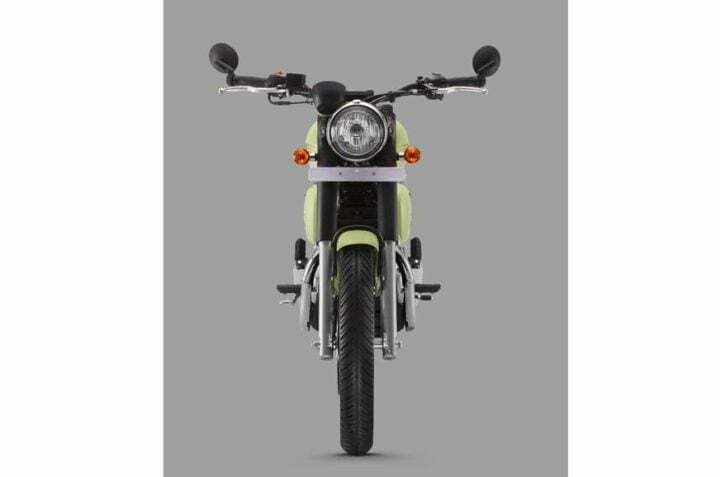 However, based on the specifications and pricing range it competes with Royal Enfield Classic 350, Bajaj Dominar 400 and Mahindra Mojo UT 300. Classic 350 fits as the top rival as earlier. Both follow a similar type of bodywork and are age-old rivals too. 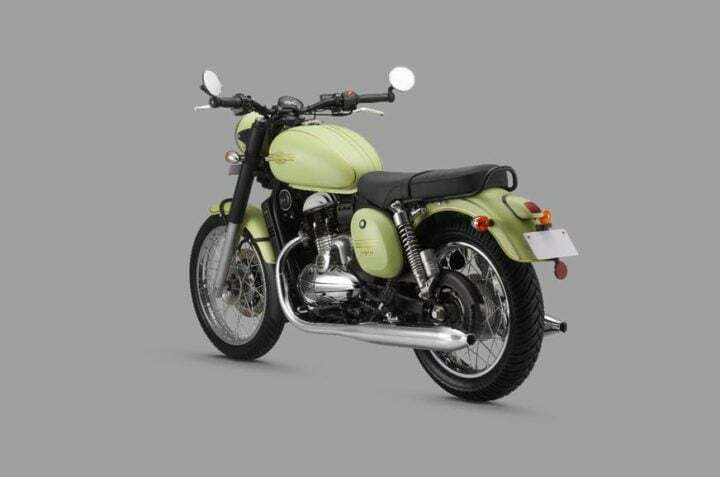 Classic 350 starts from Rs 1.39 Lakhs going up to Rs 1.62 Lakhs. Also Read: Royal Enfield Continental GT 650 and Interceptor 650 launched! On the other hand, Dominar 400 and Mojo UT 300 are modern day cruisers. However, a similar pricing range puts them in the league. Both are loaded with features, which are not even remotely found in Jawa. Here is the official TVC of Jawa Motorcycles.